​We'll take the guesswork out of your purchasing choices by providing unbiased facts regarding the Stamina ATS Air Rowers’ technology & its design features. Purchasing exercise equipment can be a significant investment towards a thinner and stronger body; however, the current market seems saturated with a large assortment of different brands and models. All of them promise different results in so many days; overall you may be left feeling confused and frustrated especially when the price of each model can be pretty high. Instead of getting swept up in the confusion of it all, we’ll go over one of the higher rated rowing machines, specifically the Stamina ATS Air Rower, and list out the features that come with it. You’ll get a comprehensive look at what this model will be able to do for you as well as it’s weaker performance points. By the end of this article, you’ll have all the knowledge you need to determine if this model is right for you. What Is Stamina ATS Air Rower and How Does It Work? 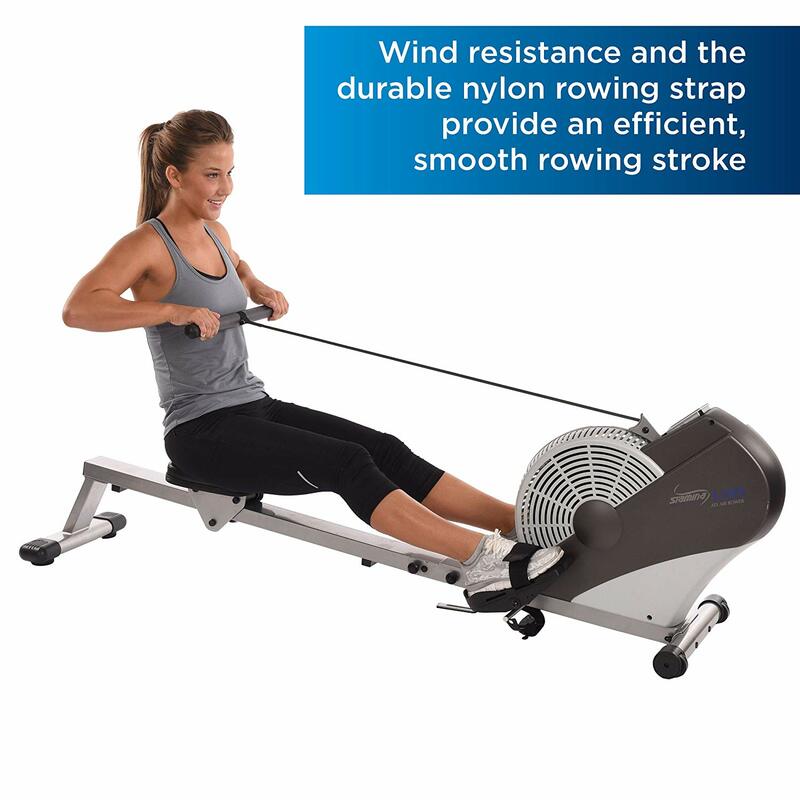 What Makes Stamina ATS Air Rower Unique? The Stamina ATS Air Rower is an air-resistance rowing machine that works the upper and lower body simultaneously to provide a full-body, variable resistance training experience. The harder you row, the more air resistance you’ll receive thanks to the flywheels’ design. You’ll end up with a smoother workout than you would have through a hydraulic machine which can drastically improve the quality if your workout session. On top of that, the Stamina brand is well known for making powerful framed machines, and this model is not an exception. The ATS's axel and the frame are fashioned from light-weight steel that can hold up to 250 pounds while only weighing 54 pounds by itself. Each of its legs has scuff protectors on them to help protect your floors from damage during use, but you can opt to purchase a non-skid mat made for this unit if you’d prefer. It’s easy to fold and stow away when not in use, being lightweight and the built-in wheels on the bottom allow you to push it across the floor quickly. The unit is just over six feet long, measuring at about 78 inches which allows taller individuals to take full advantage of the Stamina. The axel is tilted to give a better leg workout resistance, but there’s only a three-inch drop between the highest point and the lowest point which keeps the strain on your joints to a minimum. The foot pads are adjustable to an extensive range of foot sizes so you won't have to worry about your feet slipping off. The nylon straps installed on these footpads help keep your feet in place to allow you to focus on your workout even if you’re exercising harder than usual. The seat is upholstered and cushioned for comfort and provides quiet and unhindered movement along the rail. The hand grips provide a textured grip which helps keep a good hold when your hands get sweaty from a long workout. Thanks to the LCD monitor attached to the base of the machine, you’ll be able to track different things while you work out such as equal distance traveled, calories burned, your speed and the total time you’ve spent working out. You can cycle through the different modes to display these bits of information by pressing the blue button, or you can hold down the button long enough to cycle through all of them. Each bit of information will display every six seconds. Because it is a variable resistance training machine, you’ll be able to take advantage of high-intensity interval training or HIIT for short. What’s excellent about HIIT is the ability to utilize short bursts of extreme workout sessions where you push yourself to the limit. That increases your metabolism and allows your body to burn fat faster and for more extended periods of time. Rower machines are great for this style of training because you don’t have to pause your workout to adjust any settings, you merely row harder, and the wind resistance kicks in and creates a more extreme workout session. Consumers generally found that putting this machine together was relatively painless, many claiming that they were able to assemble the device in just under thirty minutes. You’re given detailed instructions on how to put it together as well as instructions on what cleaning solutions are considered the safest to use on your machine. Just like what’s expected at the gym, you should wash your device often to keep it working at its peak. 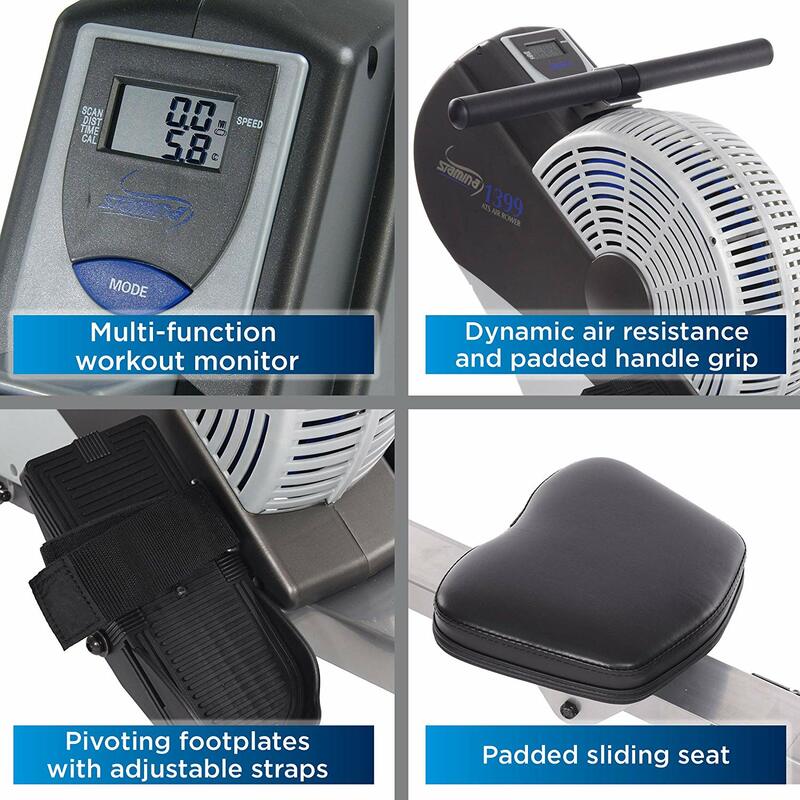 The basic idea behind the Stamina ATS Air Rower is not unique; however, Stamina has done quite a bit of work to make their model stand out from the rest. The first and possibly the most compelling difference is the price. 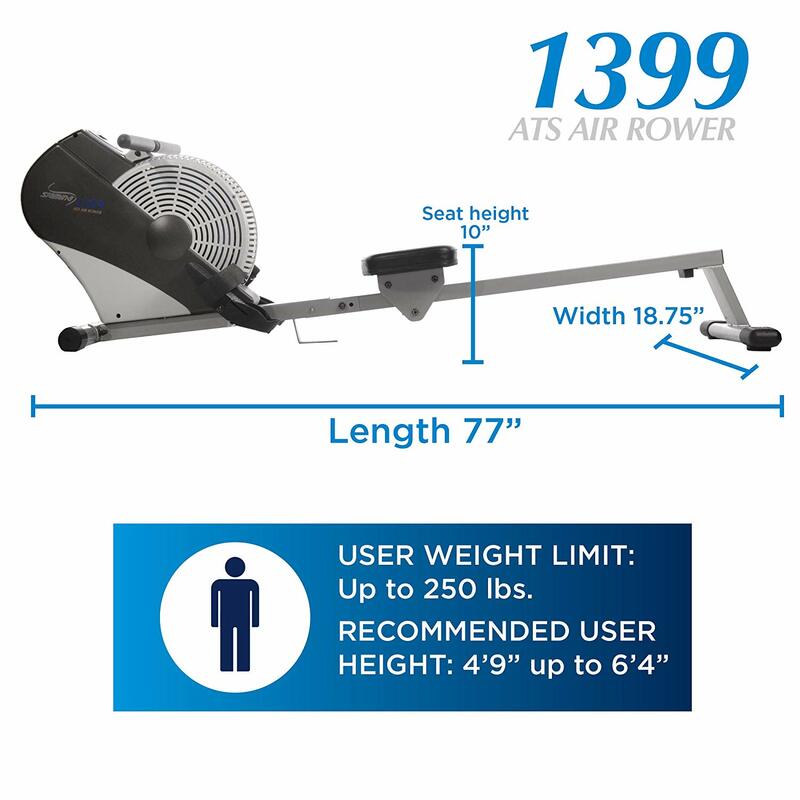 The ATS air rower is at least half of the cost of the higher end models, but that doesn’t mean it lacks in functionality. Secondly, the inclined axis doesn’t seem to be a feature that is implemented often in most air rowers. The highest point is at twelve inches with the lowest being nine. The design was to help keep the impact low on the joints which helps allow the user to work out longer without adverse impacts to their knees and hips. Many might be surprised to know that there are no knobs, dials, or any form of adjusting gadgets to alter the resistance when you use this machine. You can change your workout from slow and steady to HIIT almost instantly by increasing your movements. That allows you to continue your exercise without wasting time dialing in the resistance that you’re looking for to switch up your training. Some consumers have made mention that they were unimpressed by the lack of resistance dialing, but the way this machine was built makes it to where you don’t have to. Beginners and experts alike will benefit off of this air rower, and its design gives the user a full body workout on their terms. It even comes with a pamphlet that highlights different exercise routines to implement while you’re using the ATS Rower. As this article is in the process of being written, the Stamina ATS Air Rower is currently going for $299.99, that comes with free 2-day shipping if you go through Amazon as a Prime member. The beautiful thing about going through Amazon itself is the ability to return the unit should it arrive defective, and the return process is usually painless. However, the pricing itself is the best selling quality for this model. Most units, such as the Concept 2 or various Waterrower models, go for over a grand at a time and they virtually do the same thing as what you’re looking at here. Some of the more expensive models may have a quieter fan or more advanced LCDs, but most consumers were not negatively affected by the noise level that the fans made or how standard the screen display was. Consumers reported that they were pleasantly surprised that the Stamina ATS didn’t creak under more extreme workout sessions, unlike other cheaper models, tend to do. When it comes to the Stamina ATS Air Rower, you get a lot for the price especially considering how many features it comes with, and we found that it can very easily compete with models like the Concept 2 Air Rower. We’ll take a look at each model and give a comprehensive review of both models and give you their similarities and the differences to let you decide what model best fits your needs. When it comes to silence, the Concept 2 wins, but just barely. The flywheel design in the Concept 2 was made to cut back the amount of noise it makes but most consumers didn’t notice much of a difference when compared to the Stamina ATS. That being said, these machines can get pretty loud regardless, so it’s best to keep that in mind when you exercise at odd hours where it can disturb other people. Unlike with the Stamina, the Concept 2 needs a larger workout space to be placed in. It’s recommended to clear away a nine foot by four-foot space before you start your workout. The reason for this is that the Concept 2 has a 96-inch length versus the 78-inch axis length on the ATS. People who are taller or have longer legs, in general, may benefit from the Concept 2’s axle length more than the ATS. On the other hand, just like the Stamina, it can be easily stowed away when you are finished with your exercises for the day. In both models, your machine will be able to take on some abuse as you go through your exercises. The Stamina ATS has a nylon strap that is durable to hard workout sessions while the Concept 2 has a steel or nickel plated steel chain depending on which model you go with. Another feature that may stand out for consumers is the LCD’s on both models. The Concept 2 has a PM5 monitor which can hook up to your computer and transfer information regarding your exercise onto an online logbook. You can play games with this function, record your heart rate, as well as calories, burned, stroke speed; distance traveled and the time that you spent on your workout. The Stamina ATS Air Rower is not as fancy with its screen display. It’s firmly set in place on the machine but just like with the Concept 2’s monitor; you’ll have to install batteries to get it to display. You’ll have the basics presented to you, calories burned, distance traveled, speed, and time spent, but you can’t record them automatically. They differ on weight restrictions too. The Stamina ATS is only rated to handle up to 250 points while the Concept 2 is estimated to hold up to 500 without issue. However, when it came to full body workouts, consumers were happy to announce that both machines were comparable with each other as far as performance was concerned. For the price that it’s listed at and the features that come with it, we’re pretty happy overall with this model of rower machine. 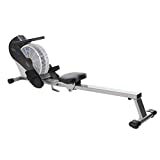 There aren’t many rower machines under $500.00 that can compare to the comfort and workout results that this model has which make many consumers agree that the ATS is one of the best of its type. Here’s a recap of what we feel are pros and cons concerning this product. If you value a well-structured machine that gives you a full-bodied workout with a good set of features included that’s also listed at a high price, then the Stamina ATS Air Rower is a perfect machine for you. 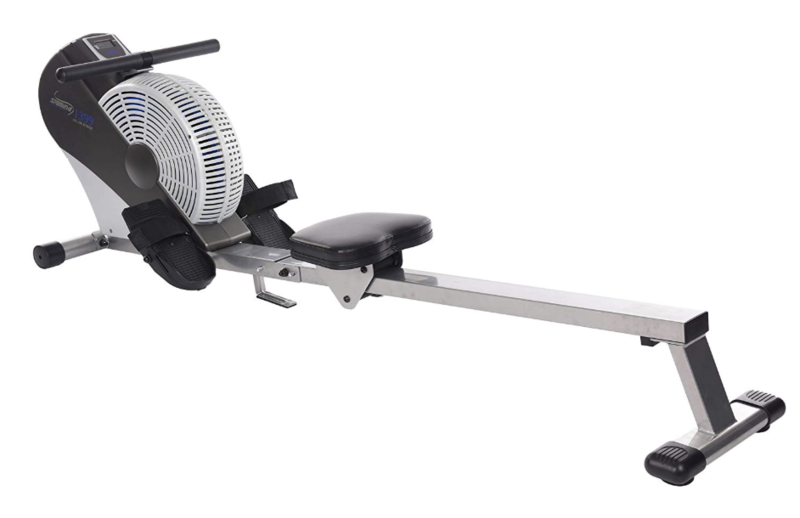 This rower is great for people who are on a budget but aren’t looking to sacrifice quality as a result. You’ll get a long list of great features and benefits that this machine can provide for your needs, and you won't have to invest too deeply to get it. 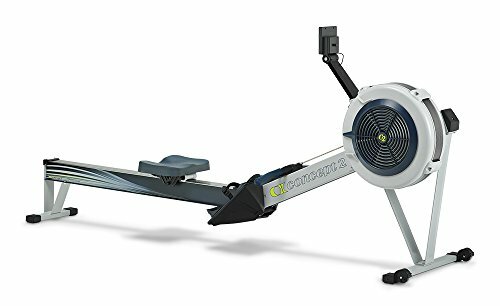 If you are a professional rower who needs a machine to keep up with their work out needs and provides all the bells and whistles, then the Concept 2 would be a great fit. If you’re looking for a high-quality model that combines functionality and value instead, then it’s time to pick up a Stamina ATS Air Rower. You’re armed with all the information you need to be confident in your purchase and satisfied in the fact that you won't be disappointed.